Having your property removal organised and conducted professionally by qualified movers is by far the easiest, most efficient and hassle-free way to have your household or office shifted to another area or city altogether. Specialised removal services will indeed cost you a certain amount of money, after all nothing good in life comes for free. This however would be money well spent as you will have each stage of the relocation handled by diligent and well-trained expert movers, this means no sweat off your brow, and not having to go through all the hassles that usually come with property removals. One company that can provide you with a genuinely good removal service that is worth your time and money is Removals Stepney. 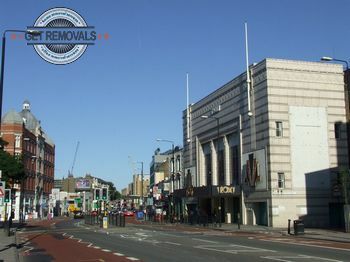 We are the true experts of hassle-free property removals in the E1 postal area. We have years of removal industry experience in dealing with anything from basic house moving to complex commercial property relocations. No matter how basic or elaborate your removal requirements, you can count on us to do the job right, and leave you with money in your pocket. Our expertise spans over all types of domestic removals and office removals, most business removals, as well as tricky projects like piano removals and specialised furniture removals. Efficient and inexpensive rubbish removals and junk removals are also available. We know that breaking or losing things along the way is totally unacceptable, this is why we offer customers a well-priced, highly effective packing service. In case customers wish to do their own packing, which is fine with us, we will be able to deliver a full kit of high quality packing materials without any excess cost. 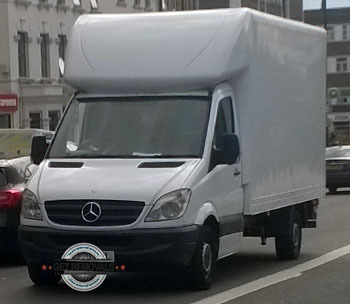 In order to streamline the entire project, and avoid any delays or other setbacks, Removals Stepney employs only specially trained movers and experienced drivers. Our removal teams will work in perfect coordination as to have everything wrapped up and ready to go, and then safely transported to your next destination. If you have chores or errands to take care on the day of the removal, by all means do so and leave us to handle the removal in the meantime. If you just wish to go for a long walk while we handle the job, you can check out some of the pockets of Victorian and Edwardian architecture surviving in Stepney amongst the numerous tower block estates riddling this part of London’s East End, for example Arbour Sq. Stepney originated from a medieval settlement sometime in the fifteenth century. During the eighteen hundreds, the area grew and urbanised rapidly. The local population though was made up of immigrant workers and generally poor strata of society thus giving Stepney a bad rep. Having said this, the area has changed dramatically from its former self.